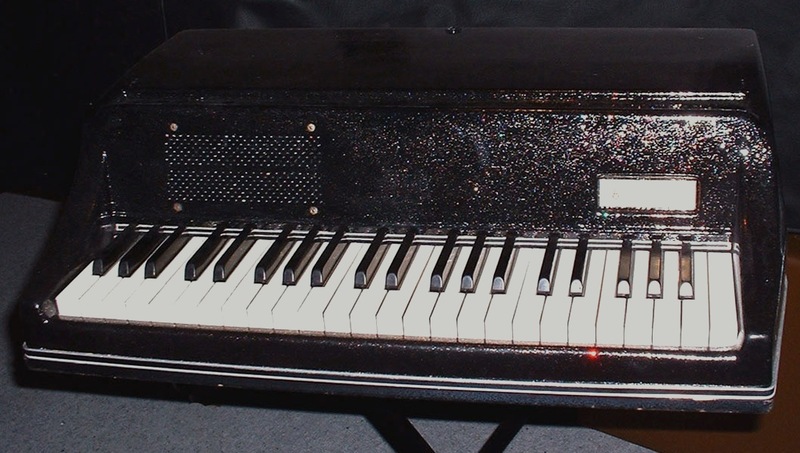 The 106 is a very unusual and rare member of the Wurlitzer electric piano family. It was part of a teaching system that included a large master keyboard and multiple smaller student pianos. 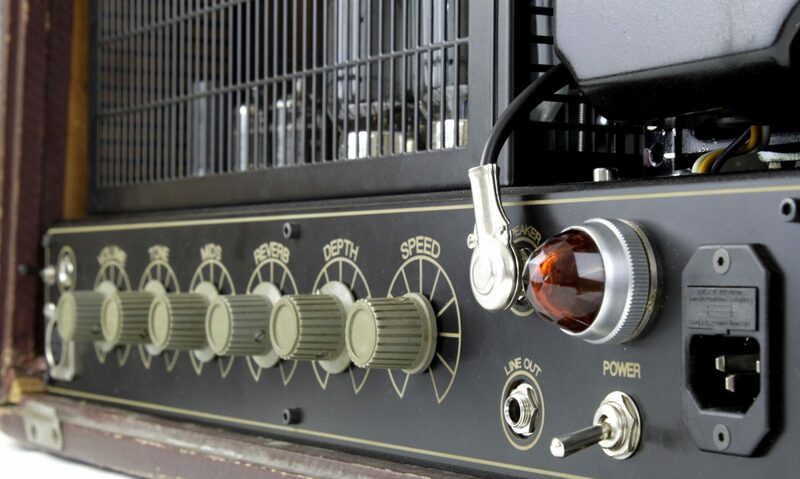 Unfortunately for the owners of the 106s the student models like Rod’s have no power supply included. As the Wurlitzer pickup system operates at high voltage (around 200 VDC), I proposed to Rod that we could implement a simple tube preamp in the piano. The result is a 6AU6/EF94 pentode preamplifier which captures the frequency range of the piano nicely while also adding a slight compression to smooth out hard attacks. Originally, these keyboards came in orange but Rod has customized his with a unique glitter black coating.